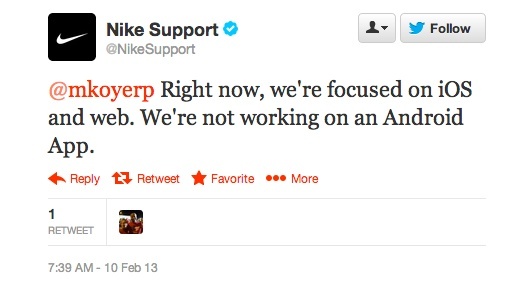 According to Nike’s official and verified Twitter Support account, they are no longer working on an Android app that can be paired with the Nike Fuelband and are instead putting their focus on iOS and the web. To call this news “disappointing” would be a gross understatement. 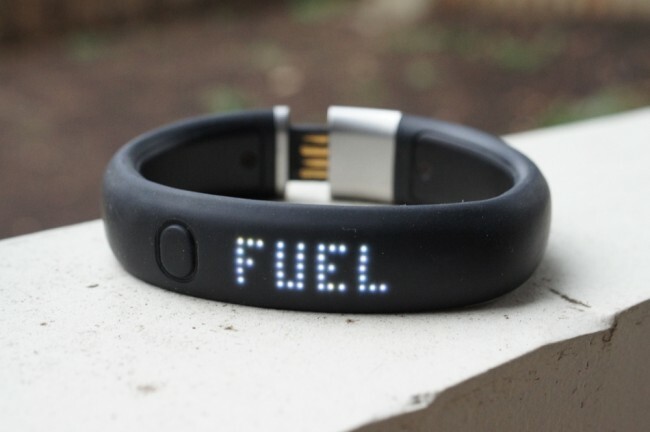 For those not familiar, the Fuelband app would allow Android users to sync their Nike Fuel while on-the-go, over Bluetooth, rather than having to plug-in the device to a computer. There is and has been for quite some time, an app on iOS that does this wonderfully. As someone who has had a Fuelband since the beginning and racked up over 1 million points in less than a year, I’m extremely disappointed in this news. I kept hoping that they had simply delayed the Android version as they worked to merge the Fuelband and Nike+ apps, similarly to what they had done on the Nike+ website. This news, makes it look like that’s not the case after all. Does Nike not realize that Android is the biggest mobile operating system on the planet? We’ve reached out to Nike PR and will update this post if we hear back.